Who loves rice? Definitely me! But did you know that rice contains high sugar content which is the number 1 culprit when it comes to diabetes, obesity & cardiovascular diseases. Oh yes, I am super guilty! Giving up on eating rice will be so difficult especially to us Filipinos who are used to it. 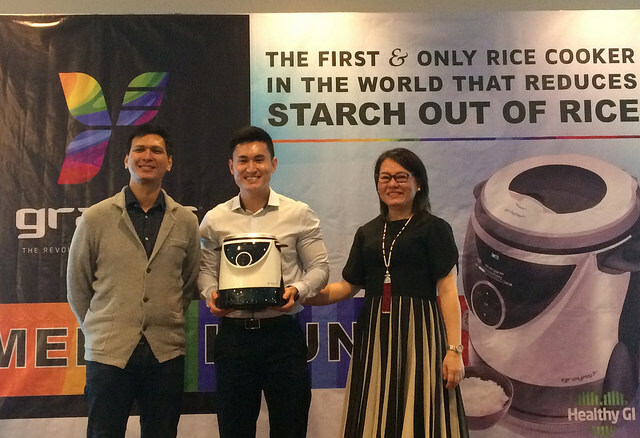 To the wide technology and innovation, here comes the very first and only rice cooker in the world that takes the sugar out of rice. Introducing the Grayns Rice Cooker! 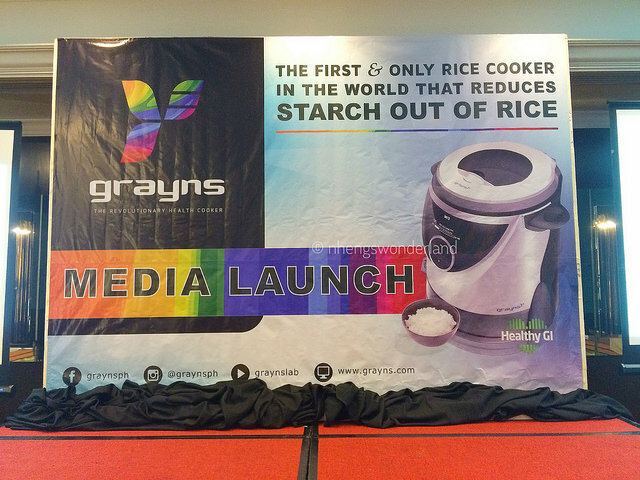 I was privileged to be a part of the Grayns Media Launch in Edsa Shangrila Hotel last week. During the event, I learned a lot about eating good and bad food as well as how important exercise is. It was also discussed how high sugar is dangerous to your health. And you know that rice contains a high percentage of sugar. Rice simply like some other sugars is comprised of 2 starches. The 2 starches that make up rice are Amylose and Amylopectin. It is the proportion of these starches that decide whether a specific sugar groups as RDS (Rapidly Digestible Starch). Rice has a higher Amylopectin to Amylose proportion in this way characterizing it as a RDS while oats has a higher Amylose to Amylopectin proportion arranging it as a SDS. 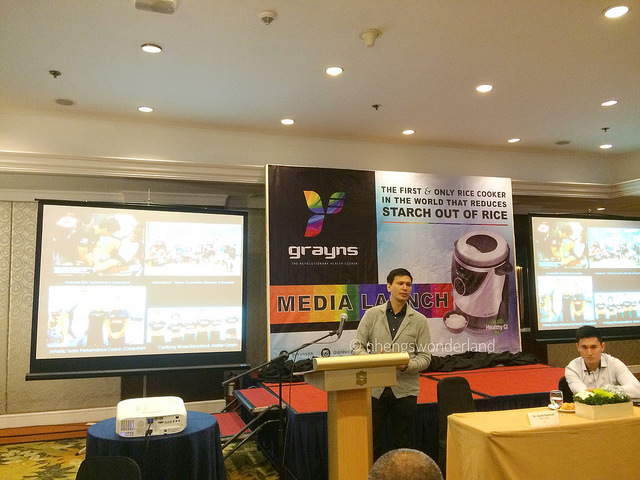 Mr Joseph Pagulayan presented on how important low starch rice to being healthy. This is where Grayns Rice Cooker takes place. 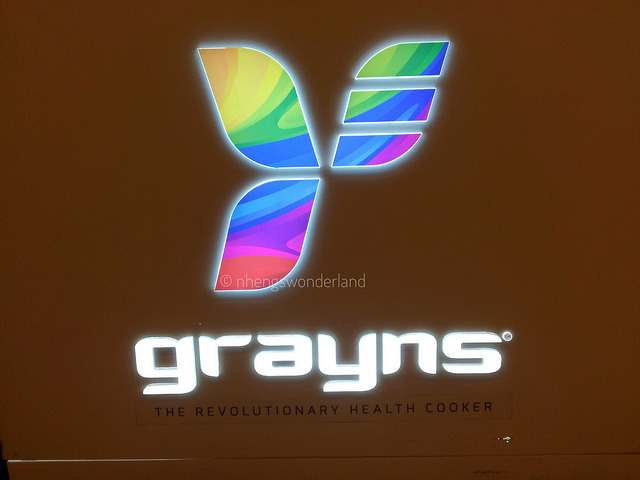 Grayns is the only healthy rice cooker in the world. 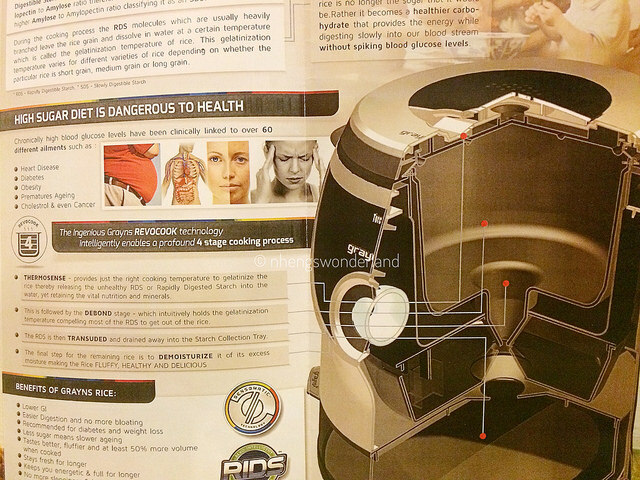 Utilizing propelled innovation with the main patent in the entire world, it expels starch from rice and other starch sources bringing down calorie content and in addition glycemic load. The ingenious Grayns REVOCOOK Technology intelligently enables a profound 4 stage cooking process. - THERMOSENSE provides just the right cooking temperature to gelatinize the rice thereby releasing the unhealthy RDS or Rapidly Digested starch into the water, yet retaining the vital nutrition and minerals. - This is followed by the DEBOND stage which intuitively holds the gelatinization temperature compelling most of the RDS to get out of the rice. - The RDS is then TRANSUDED and drained away into the Starch Collection Tray. - The final step for the remaining rice is to DEMOISTURIZE making the rice FLUFFY, HEALTHY and DELICIOUS. 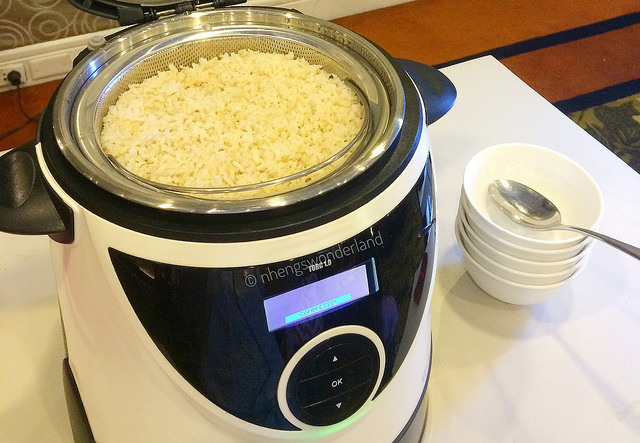 So what are your take on using Grayns Rice Cooker to cook your rice? Grayns is ideal for diabetics both sort 1 and sort 2. It essentially helps every diabetic control their glucose level and avert spikes and crashes only 15 minutes after utilize. Grayns is not only for diabetics, but rather any person who wishes to counteract diabetes and stoutness. It is the ideal instrument to enable clients to kick begin their eating methodologies by enabling them to appreciate eating while at the same time decreasing calories. Grayns is priced at P27,000 Philippine Pesos and is catered to the AB market.